This package includes basic services of the funeral director and staff; embalming; cosmetology, dressing, and placement of the deceased in the casket; use of facility and staff for viewing/visitation at the Funeral Home; use of facility and staff for a funeral or memorial service at the Funeral Home, Church or location of your choosing; transfer of remains to the funeral home; and cremation fee along with the containers used for the cremation. If funeral service is to take place at church or a location other than the funeral home, there would be an additional charge of $365.00 for the use of the hearse. 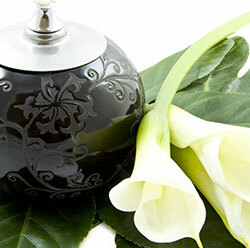 There is an additional fee for use of a rental casket or the purchases of a cremation casket. This package includes basic services of the funeral director and staff; care, custody and refrigeration of an unembalmed body for up to 48 hours. ; use of facility and staff for a funeral or memorial service at the Funeral Home, Church or location of your choosing; transfer of remains to the funeral home; and cremation fee along with containers used for the cremation. This package includes basic services of the funeral director and staff; care, custody and refrigeration of an unembalmed body for up to 48 hours, transfer of remains to the funeral home and cremation fee and containers used for the cremation.